Modern holidays are not what they used to be, and there was a time when the only choices you had were; dealing with Durban, getting mauled by the multitudes in Margate, or looking at lions , giraffes, and elephants in a game park; the same lions, giraffes and elephants you saw last year and the year before that. If you were one of the fortunate few, and had been able to take your holidays abroad, the only real advantage you enjoyed was that it took you a little longer to exhaust your options, there being more of everything. However, museums, art galleries, ruins and risking possible death by drowning in Venice were very much the only options available to the average tourist on a budget package deal. Fortunately, or not, depending on your point of view, sightseeing tours have served the industry and the less prosperous among us well but thankfully, more exciting and offbeat destinations are being opened up in the most unlikely places. Nowadays you may want to go tramping around some of the world’s most exclusive rubbish tips (in London, no less), or perhaps the gruesome and allegedly haunted catacombs in Paris, the sewers of New York, or do an unguarded tour through a notorious prison in Bolivia with a convicted criminal as a guide. No matter what your tastes and preferences, in this article you are certain to find wonderful and weird tours that will appeal to your senses – if not your sensibilities. 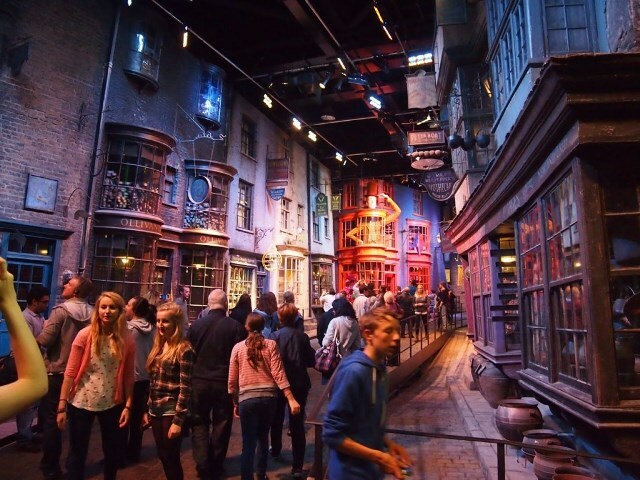 For fans of J.K. Rowling’s books and movies, Harry Potter tours take in some of the more memorable locations and events in the film sagas, or at least, where they were filmed in London. You can expect to see the visitor’s entrance to the Ministry of Magic, the bridges under and over which the members of the Order of the Phoenix once flew on their broomsticks, as well as, but not limited to Knockturn Alley, which in reality is an old London street, dating from medieval times. Hogwarts and Platform 9¾ may at some indeterminate date be confirmed as viable destinations. The tour lasts around two and a half hours and stretches from London Bridge to Leicester Square. Costs are £12 per adult and £10 for children. Advance online booking is advised. Book through the aptly named Muggle Tours. 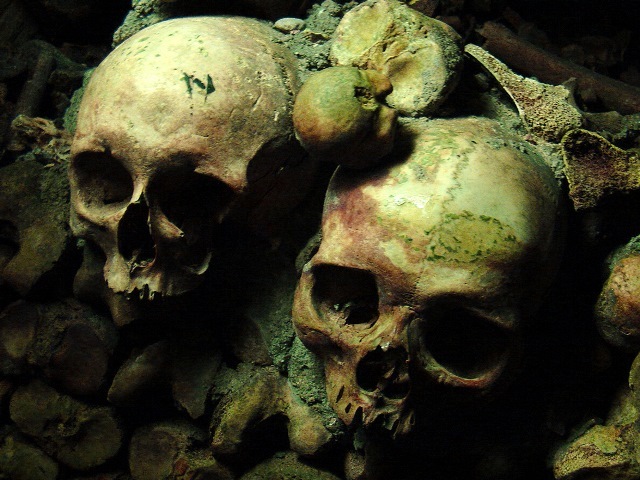 Also known as ‘The Empire of Death’, Paris’ Catacombs should not be attempted by the squeamish or faint of heart. Originally a series of lime-stone quarries, during the late 1700’s it was turned into a depository for human corpses, to relieve the pressure on the city’s overflowing cemeteries. An estimated six million corpses were stacked in long lines, creating literally kilometre long walls of human remains. Many visitors to the catacombs will swear the place is haunted, which may well be the case, hence the “do-not-be-squeamish” requirement. During WW2, the French Resistance used the 2km long narrow, very convoluted passages and niches as hiding and storage spaces, a fact that will appeal to all history buffs. Also be prepared to do some stair climbing; there are around 220 steps leading to different levels down and back up to street level. Situated at 1 Avenue du Colonel Henri Roi-Tanguy, the Paris Catacombs are open daily from 10am to 5pm except Mondays and public holidays. This tour takes about 45 minutes and tickets cost around $70.00. Advance booking is essential in order to avoid disappointment and long waiting times; two to three hour queues are not uncommon. For more information and booking, visit the official website of the Paris Catacombs. For those in the dark, Breaking Bad is a hit American TV show chronicling the hazardous journey of Walter White, a science teacher come crystal meth cook. Being quick on the draw, the City of Albuquerque in New Mexico, where the show is set, has lost no time in capitalizing on the success of the show. The best tour of the sights, which include restaurants, shops and the famous Octopus carwash, is run by ABQ Trolley Co. Super-fans can buy fake crystal meth confectionery from The Candy Lady in Old Town, stay overnight at the Crossroads Motel and have breakfast at Twisters, a fast food joint that is the setting of the fictional Los Pollos Hermanos, the restaurant in the show. Sadly, they do not run tours to Area 51, (which the US Government says does not exist), also in New Mexico, and where a UFO is said to have crash landed in 1947. For culturists of a more seedy variety, the Red Light District of Amsterdam is the place to go when in the Netherlands. Ironically, the Red Light District surrounds one of the city’s oldest buildings; a church built in the 13th century and very suitably named, The Old Church. This venerable old church has survived several fires as well as more than one restoration attempt. It also houses the tomb of the Dutch Master Rembrandt’s first wife, which is a good enough reason in itself to visit the area. Here prostitution and religion exist side by side but there are a multitude of theatres, bars, coffee shops and restaurants to relax in as well. Given the nature of the area, there is not much to offer in the way of shopping, the only possible exception being the best condom shop in the world, The Condomerie. Tours are given every day and last around 2 hours. They’re conducted by locals who are well-versed in the culture of the Red Light District. Cost per person is €15. 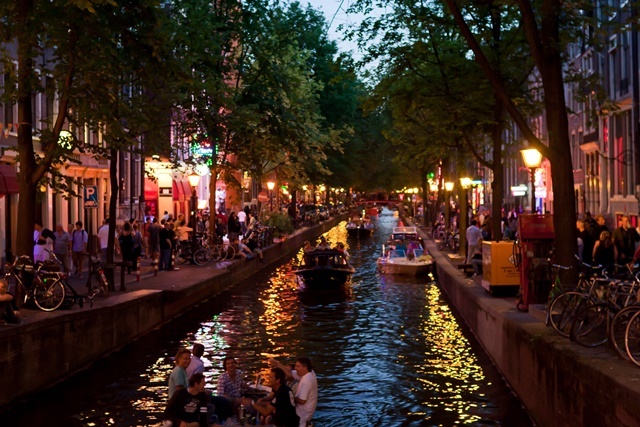 Advance online booking is strongly advised – check out Amsterdam Red Light District Tour. Abandoned class rooms with dust covered books and toys. Silent ghost towns with homes in which some tables are still set for meals that would never be eaten. 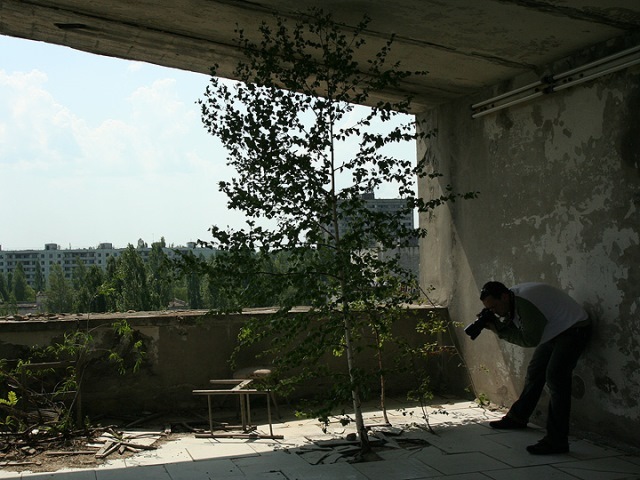 These sights leave an indelible impression on those who have had the rare opportunity of visiting the site of the greatest nuclear disaster the world has seen to date; the meltdown of a nuclear reactor at Chernobyl in 1986. However, this tour is not about the disaster alone; you will be able to visit and interact with some of the several thousand people who have returned and now practice subsistence farming in the immediate area. Radiation levels are no higher than before the disaster and the area is considered safe, but for $10 you can buy a Geiger counter from the tour operator, just to make doubly sure. However, to date there have been no reports of people beginning to glow in the dark. Tours last from one to seven days and must be booked online a minimum of two weeks in advance. Tour costs vary according on the option chosen but include compulsory medical insurance. Full, albeit rather complicated booking information is available online. A visit to this, the most iconic of all prisons, is a must for the politically minded. Despite Robben Island’s miserable history – first a prison, then a leper colony, a mental institution, a military base, then a prison again – in its latest incarnation as a tourist attraction, one can’t help but feel inspired. 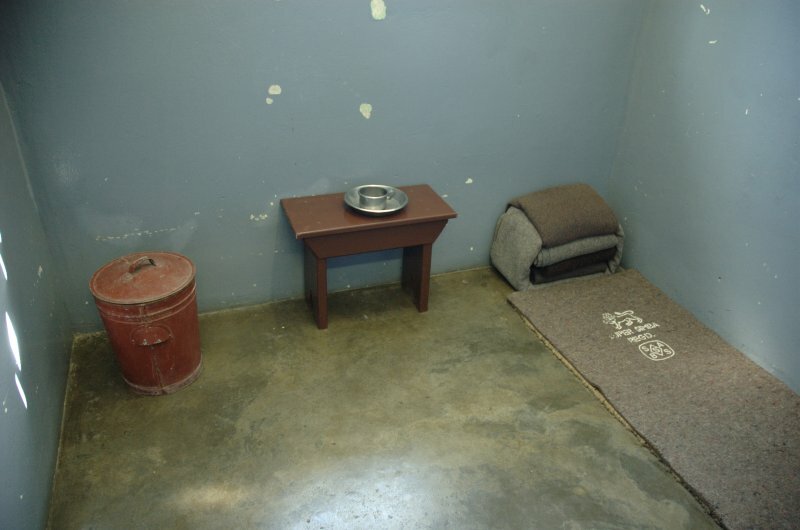 Highlights include viewing the cell where Nelson Mandela was imprisoned for 18 years, visit the limestone quarry that ruined his eyesight, and even view the surveillance equipment the Security Police used to spy on the political prisoners. Tours are guided by former inmates as well as former guards. The island was declared a World Heritage Site in 1999 and is a definite must-see. 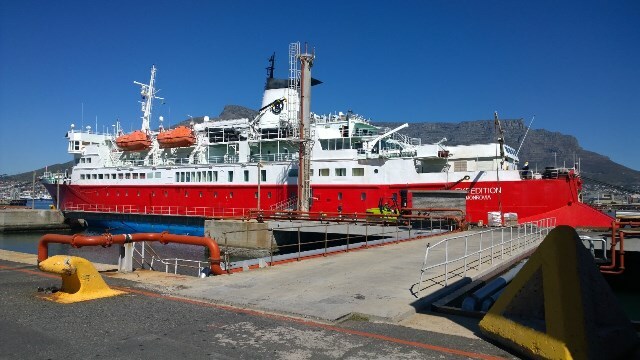 Transport to Robben Island is by ferry and advance booking is essential. Tickets are not refundable unless the ferries are cancelled for whatever reason, or have broken down, which has been known to happen. Information and bookings are available at www.robben-island.org.za. During this 3+ hour tour you can learn everything you ever wanted to know about how and why Hollywood actress Sharon Tate was murdered by the Manson Family. 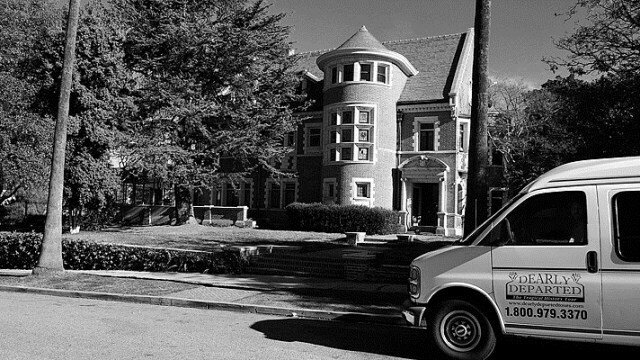 The tour takes in all the relevant places and scenes connected with the crime. You can view the crime scene photographs as well as listen to reconstructions of the lives of both victims and perpetrators, especially during the last hours of their lives. A morbid fascination with the lives and deaths of Hollywood stars is a definite advantage if you want to get the most out of this tour. Children under twelve are not allowed. Included in the ticket price of $65.00 is a piece of rock from the alleged Tate house fireplace, which has to be purchased in advance, presumably at the time of booking. Advanced online booking is advised through dearlydepartedtours.com. 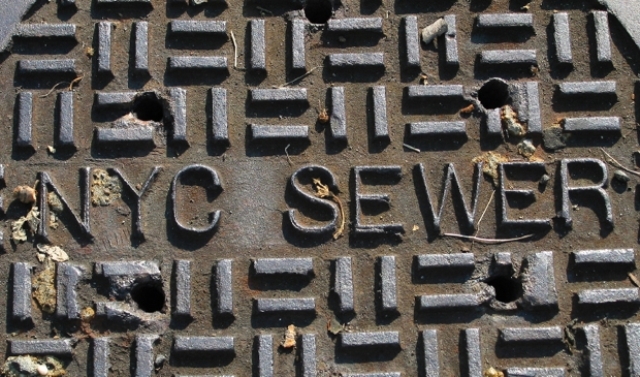 There can be no more unromantic celebration of Valentine’s Day than taking an above ground tour of New York City’s sewerage system. The City’s Department of Environment Protection has re-instituted a Valentine’s Day one day tour of the amazing installations that reduce raw sewerage to less harmful liquids. However, Steve Duncan, a historian and expert on New York’s sewerage system will show you more than the City can, if you can stomach it. Underground tours are illegal but Steve will show you the courses of underground rivers and streams that once flowed (some are still flowing today) where the Big Apple now stands. He will also teach you how to decode the hieroglyphics on New York’s manhole covers. For lovers of macabre and distinctly off-colour tours, this is a must. Advance booking is essential as tours by the City are not regular. Fans of the multiple award-winning series won’t want to miss tour, which takes in Castle Ward (the location of fictional Winterfell), as well as visits to the sets built for the TV series in the Paint Hall in Belfast, the largest studio space in the world. If you are into fantasy and the glories of lost worlds, kingdoms and times, you will be amazed by the sight of the Red Keep’s Great Hall with its Iron Throne, the centre of worship for the Faith of the Seven, the Sept of Bealor, and the fortress known as the Eyrie, with its imposing Moon Door. For an additional €10, you can practice your archery skills (twelve arrows) in the courtyard of Winterfell, as well as hire cloaks, shields and swords to really make you King for a day. 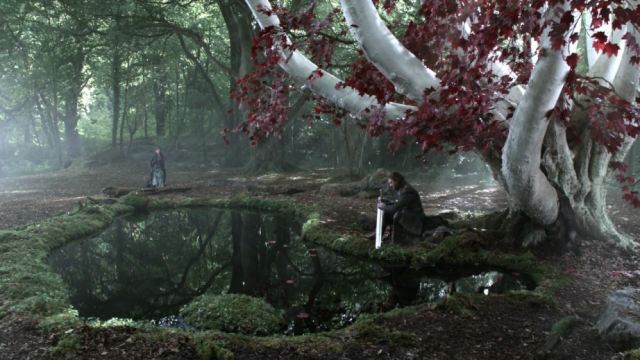 Tours are offered by Game of Thrones Tours and depart from either Dublin or Belfast. Tickets cost €55 for adults, €50 for students and €45 for children under sixteen. All prices include an authentic Thrones lunch with vegetarian options. Advance booking is essential and can be done through www.gameofthronestours.com. If you are into aliens, the Galactic Federation, space ships and Ley lines, this tour is an absolute must. 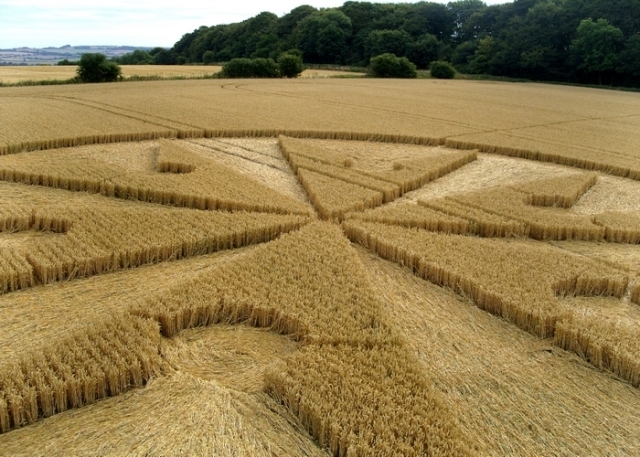 Crop circles occur all over the world but the most beautiful and intricate ones are found in the county of Wiltshire in England. No one knows what causes them or how they are made but this might just be your opportunity to learn more about them. There are many crop circle tour operators but the best and most knowledgeable tour guide is Dr. Simeon Hein, working under the auspices of the Institute of Resonance 501 (c) 3. Tours last five to six days and cost a trifling $6000, which includes everything but your plane tickets to England and back. Space on this tour is limited and no heart pacemakers are allowed, and you will need to sign a waiver, due to the unpredictable effects these sites have on electronic equipment. Sounds very ominous! More details and booking information is available at www.cropcircletours.com. Being a Lord of the Rings fan is not a requirement for this tour, but it will certainly help to make this an unforgettable experience. Tolkien must have had New Zealand in mind when he penned his classic trilogy, Lord of the Rings because on this tour you will see arguably the most beautiful and dramatic scenery in the world; all scenes and landscapes that were used in the making of the films. Let out your inner Gandalf, Frodo or Legolas for a day or two; on hand are the actual weapons and costumes used in the filming, which you will be permitted to touch and handle. Several tour options and packages are available lasting from one to nine days; the ultimate fantasy tour experience to “bind them all.” Some tours include accommodation and prices vary according to the option you choose. 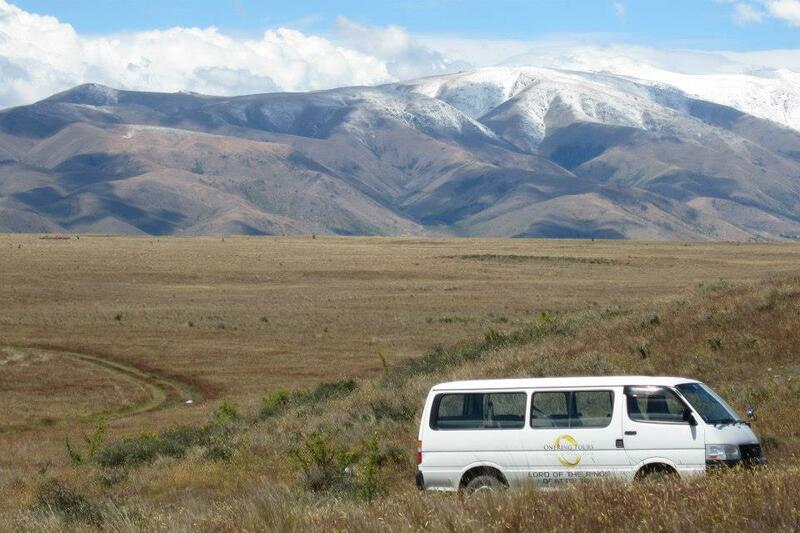 Advance online booking is advised and full details are available at www.lordoftheringstours.co.nz. 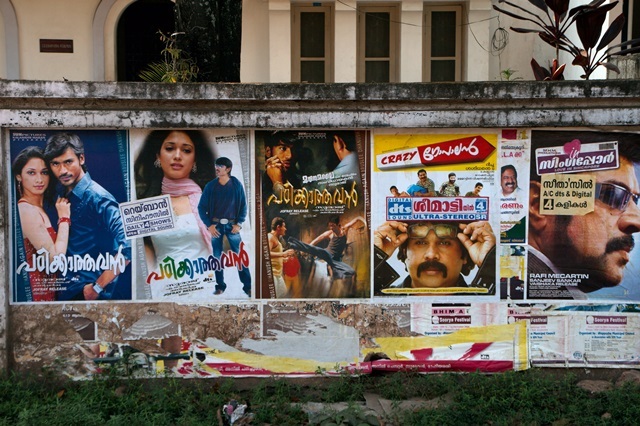 Tinsel Town has nothing on Bollywood, the movie capital of India. Neither glitz nor glamour, or even production capacity, because at 800 movies a year, Bollywood produces twice as many films as Hollywood. Bollywood Tourism offers one day tours to a film set where you can experience, among other things, the actual shooting of a movie, perhaps see your favourite movie stars (from a distance),or have a master acting class presented by a real Bollywood film director. You can even arrange to have your wedding on a film set, and have it filmed to boot, honest. If the Bollywood variety of “lights, camera, and action!” is your passion, this tour is specially scripted for you. Tour costs vary according to the number of participants and advance booking is strongly advised. Haitians refer to their island as the “Land where Time does not function”, which is perhaps a good thing, considering the number of worthwhile things to do and see here. Fully customizable (pricey) five day tours allow you to fully experience the culture, archeology, history, and everyday life of this island, which is arguably the colony France was the most overjoyed to get rid of. Haiti also boasts two UNESCO sites and twenty National Heritage sites. Included in the tour price is the opportunity to attend a genuine Voodoo religious ceremony however, for PR reasons, you will not be shown any zombies. Children under 17 are not allowed on tours. Tour prices vary according to the options chosen but all are on the pricey side. 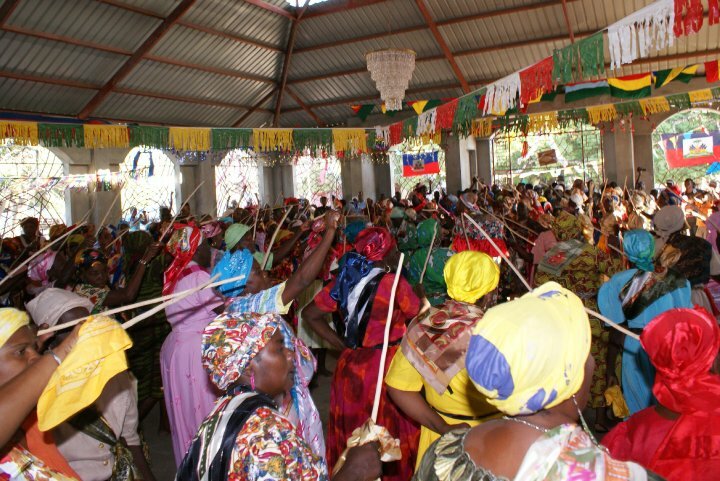 Find out more about voodoo tours of Haiti. Forget about taking a leap of faith on this activity; for this you need to take a plunge of faith … with a fishbowl stuck over your head. 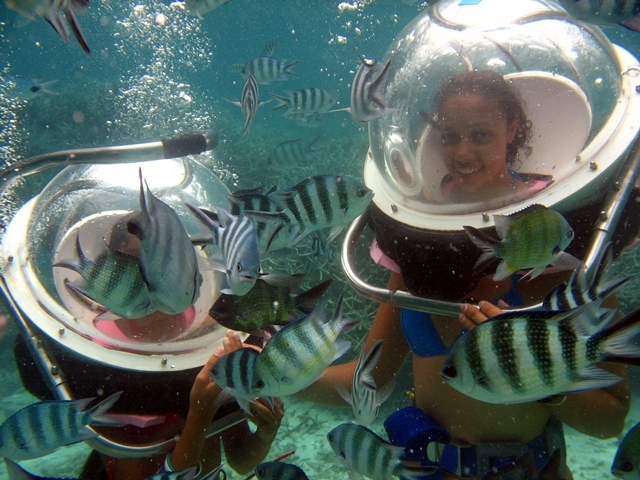 The undersea walking tour company Captain Nemo, or any of several others in Grand Baie, Mauritius, will take you to a diving platform, stick a fishbowl (with air hose attached) over your head, and throw you into the sea for the best twenty minutes or so of your life. Once you get over the initial panic, you can walk on the seabed, breathe canned air and feed the multitude of fish that have seemingly become too lazy to find their own lunches. This experience is a must-do for anyone, not just adrenalin junkies, and you are guaranteed never to forget the experience of absolute silence and serenity. Don’t worry about the sharks though; the tour operator will keep a sharp lookout for them. Full booking details and current prices are available at: underseawalk.8k.com. If Robben Island is the most iconic of prison tours, the San Pedro prison tour is without doubt the most exotic, albeit in a somewhat risky and oddball sort of way. First, you must arrange this tour yourself and at your own risk; the best any travel agent can do is to get you to Bolivia. Once in La Paz, you make discreet enquiries from the prison guard lounging against the gate, who will (for a consideration), make arrangements for an inmate to conduct you (for a similar consideration), through probably the only prison in the world that allows the families of inmates to live with them inside the prison, provided they can pay the monthly rent. 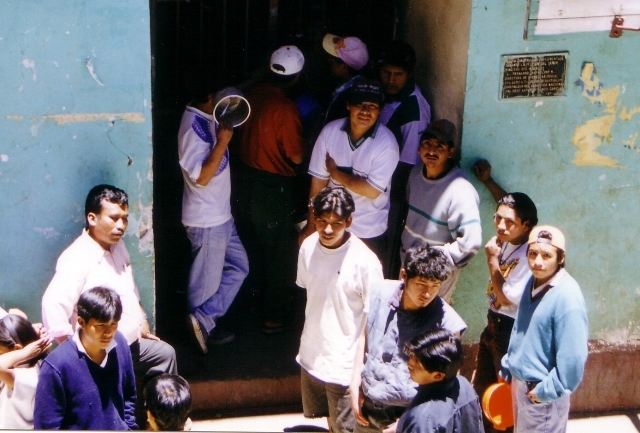 The living conditions for the families of inmates vary according to the financial resources of the convict, which bearing in mind that this is Bolivia, could be considerable. NOTE: There are no prison guards stationed inside the prison; once inside you are on your own. Do not take any valuables inside with you, and make sure someone knows where you are and when you could be expected back. They may need to inform your Embassy or Consulate, if not your next of kin. 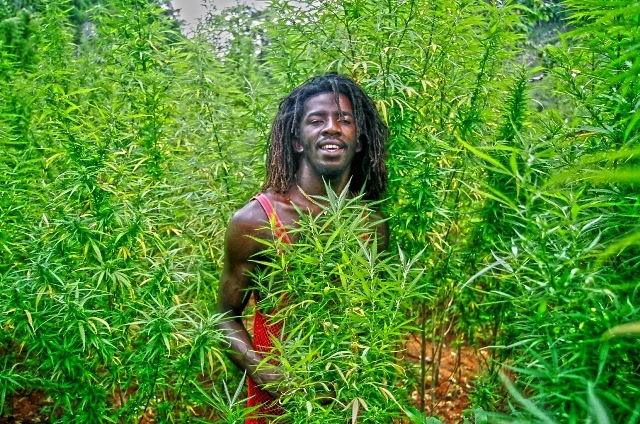 The only draw-back – pun intended – of this tour to the pot fields of Jamaica is that you have to be older than 18, for obvious reasons. The Zion Bus Line offers a tour to the town of Nine Mile, the birthplace of reggae icon Bob Marley. The tour lasts five and a half hours and (suitable?) refreshments are offered at all of the stopping off points, several of which are working weed plantations. Carnival Cruise Lines offers this tour as an added excursion, which ship’s crew members are NOT allowed to participate in. Prime quality pot is for sale through a hole in the wall of the local museum; however, no information on the current price of pot is available at this time. Carnival Cruise Lines is offering this excursion at around $100 per person which includes munchies. The old adage, “One man’s rubbish is another man’s treasure”, has real meaning on this two mile long tramp along London’s ancient rubbish tips. Starting at Mudchute and ending at Greenwich, you will learn all about the historic tips and landfills that contributed to making London what it is today. No doubt, you will be amazed to learn that leather was once tanned with dog poo that was collected by the “pure finders”, the purest contradiction in terms, if not meaning, ever. 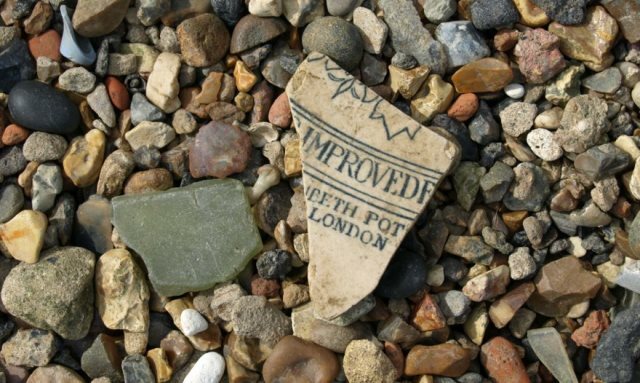 The tour concludes with a search for Tudor-era tobacco pipes along the Thames foreshore. Tours are conducted by Dotmaker Tours. Alternative tour dates are available by arrangement. Tickets are £8 and £6 for concessions. For information and to make your booking, contact dotmakertours.co.uk. This tour reveals the sordid history of Las Vegas you probably never knew existed. 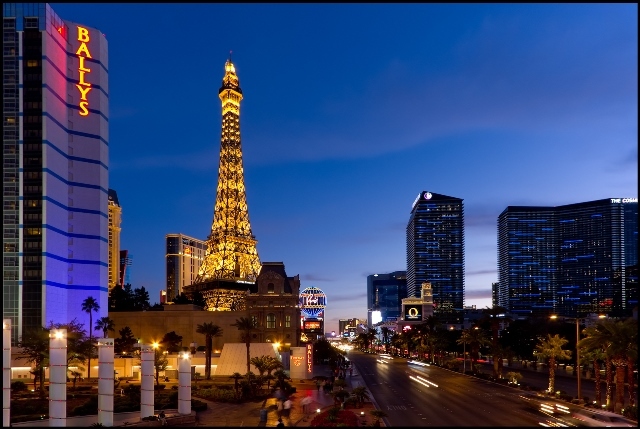 During this tour of Las Vegas, which was built with Mafia money and run by Mafia gangsters until comparatively recently, you will visit the actual places where “Mob” murders and other crimes were planned and executed. Tours are conducted by the renowned mob historian Robert George Allen, and last for two and a half hours. The tour concludes in the restaurant where the infamous “Hole in the Wall Gang” once plotted their misdeeds over their probably “free” dinners. This is an offer you cannot refuse. For general information on tour dates and ticket prices see vegasmobtour.com. A once in a lifetime experience, not at the same level of opulence and pampered luxury as on say, the Queen Mary 2, but certainly no rust bucket, G Adventures offers you and up to 129 other passengers a 32 day trip to explore the west coast of Africa aboard their own state-of-the-art research ship, the MS Expedition. The tour starts in Cape Town and on the way takes in places no regular cruise line or tour operator will dream of visiting, and ends in Agadir, Morocco. G Adventures will also arrange all your visas and entry permits, which can be an adventure in itself. During the voyage you will have the opportunity to rub shoulders and interact with scientists in various disciplines, including but not limited to, a resident marine biologist. The tour price includes everything, bar beverages and Internet access, the latter being available but expensive and the former limited only by the amount your liver can tolerate. No bucket-list should be without this item, even at the price of £10 699 or R186 500 per person sharing, as at April 2014. Bikes and wines? At first glance the two might sound totally incompatible but this tour offers a unique way to see and experience the wine lands of the Cape. During the one day tour you will visit four leading wine estates with tastings and equipment rental included in the price. 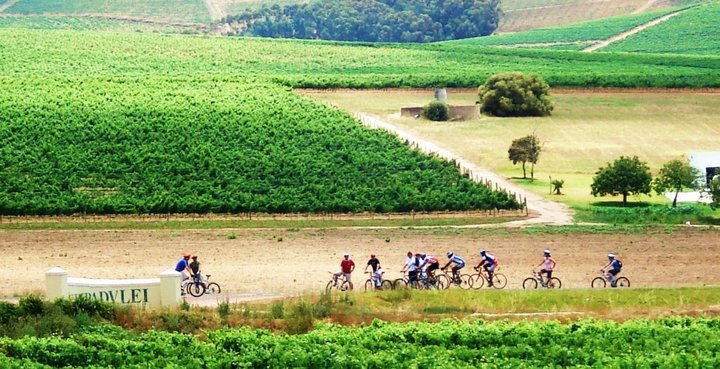 An optional brandy tasting bike tour is also available, as is a two day, overnight tour that includes wine tastings on eight leading estates. Several other tour options are available and advance online booking is strongly advised. Costs vary from under R 500 to around R2000. More details and booking information is available at www.bikesnwines.com. There you have it; with some imagination and initiative, your next holiday could be all you need it to be. However, these few examples of wonderful and weird tours are only a fraction of what is available to holidaymakers today. While the traditional and tested destinations have their benefits and uses, they are just that; traditional, predictable and possibly boring. The world is a very big place and filled with weird and wonderful places, people, conventions, cultures and other stuff most of us have never heard of or could even imagine. Think of it this way: what sort of holiday would you book if you didn’t win the Lotto this week? If money was no object, a world circumnavigation on the Queen Mary 2 might just be the ticket, but if you have to budget and scrape by like the rest of us plebs, would you not rather have a holiday that was just a little offbeat and wonderful? Think about it.